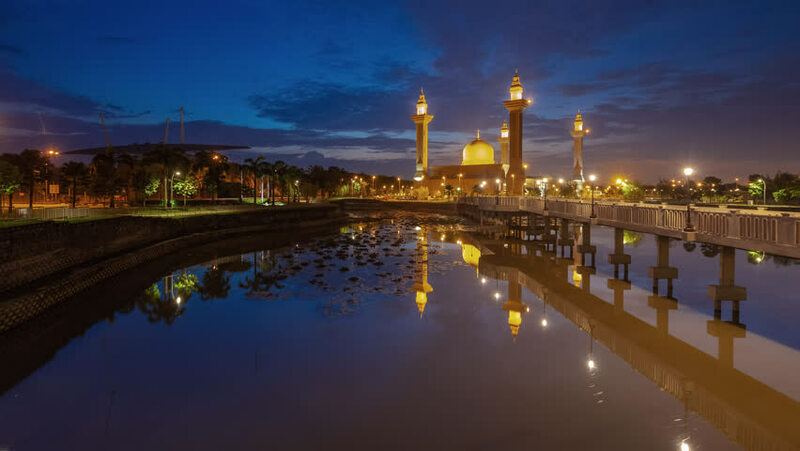 Time lapse of a mosque in Jelutong, Shah Alam, Malaysia during sunrise with reflection. Motion Timelapse Pan Up. 4K. hd00:12Time lapse of Beautiful majestic Masjid Tengku Ampuan Jemaah Mosque during sunrise with reflection and dramatic cloud movement. Selangor, Malaysia. Prores 1080p. 4K available. 4k00:15Timelapse of Beautiful majestic moqsue during sunrise with reflection and dramatic cloud movement. Camera Slide Right Motion Timelapse. 4K. 4k00:12Time lapse of Beautiful majestic Tengku Ampuan Jemaah Mosque during sunrise with reflection and dramatic cloud movement. Timelapse. 4k00:34Bukit Jelutong Mosque, Selangor. Malaysia. View during waiting for blue hour moment.